1. 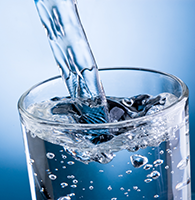 When you wake in the morning, before brushing your teeth......no toothpaste chemicals please, drink 1 glass of room temperature water and if you can manage 2 would be great......this is all about drinking water on an empty stomach. 2. Do not eat or drink anything for the next 45 minutes. 3. Have a fruit before eating or drinking anything else. Always DRINK WATER AND EAT FRUITS ON AN EMPTY STOMACH and remember to have 1 GLASS OF WATER HALF HOUR BEFORE EACH MAJOR MEAL throughout the day. HEART SYSTEM, EPILEPSY, BRONCHITIS, MENINGITIS, VOMITING, DIABETES, CONSTIPATION, GAS PAIN, MENSTRUAL CHALLENGES, KIDNEY CHALLENGEs and URINE CHALLENGES. While listening to the Barry G Show and reading the many testimonies as well as the many lifestyle practices posted on the Barry G Health Foundation that has worked for so many citizens on the planet and has been successful empowerment for many. Please consult your licensed medical care giver about any opinion or lifestyle practice you wish to adopt; you do so at your own risk since under the laws of Jamaica only a licensed medical practitioner can dispense medication. My conclusions, opinions and thoughts posted on the Barry G Show and the Barry G Health Foundation website are information for educational purposes only. You are responsible for your lifestyle choices as I thank and acknowledge the many people in Jamaica and the rest of the world for assisting me on this journey....I am humbled by this mission of sharing with the world.